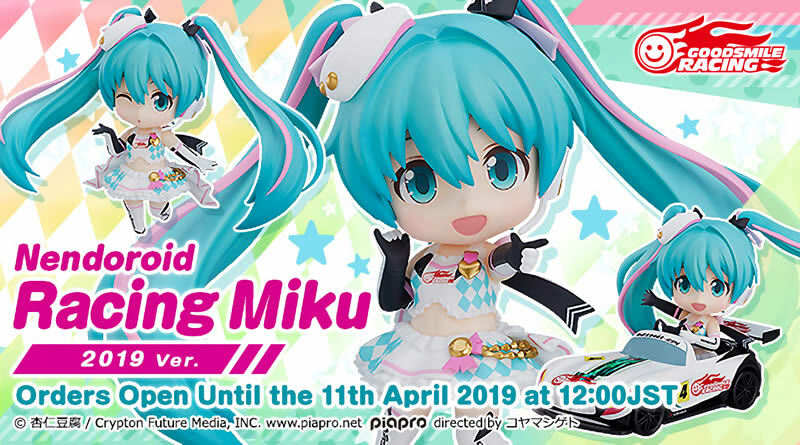 Those who’ve been waiting for the standalone Racing Miku 2019 Nendoroid to go up for preorder, your wait is over! The nendoroid is now available from Good Smile Company’s online shop, and their various partners! 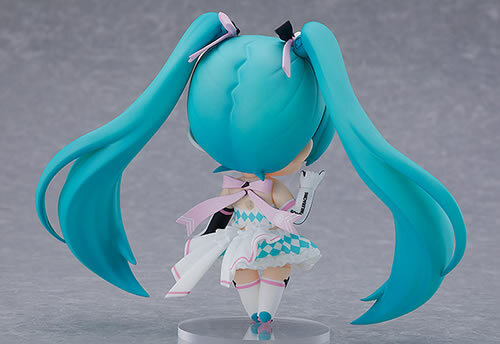 A Nendoroid of the official character of the 2019 Hatsune Miku GT Project! 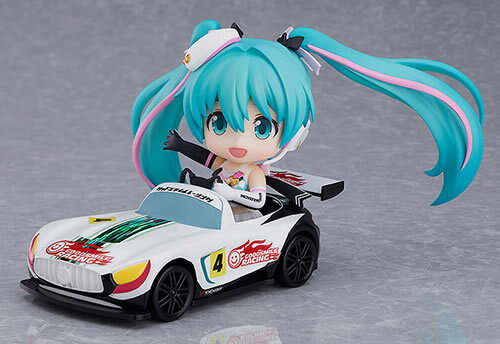 The official character of the 2019 Hatsune Miku GT Project, Racing Miku, is joining the Nendoroid series! 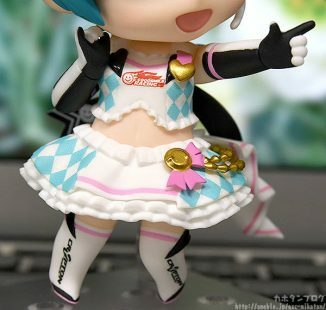 This year’s design by popular illustrator Annindoufu features a frilly costume fit for this particularly idol themed version of Racing Miku! 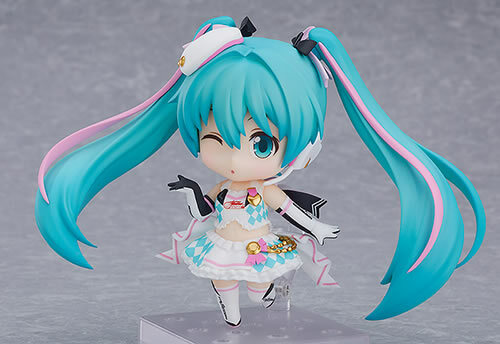 She comes with two face plates including a cheerful smiling expression and a playful winking expression! 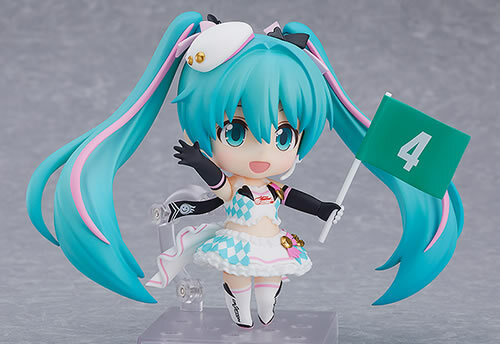 Optional parts include a flag to support the team and a Nendoroid car for her to ride in! 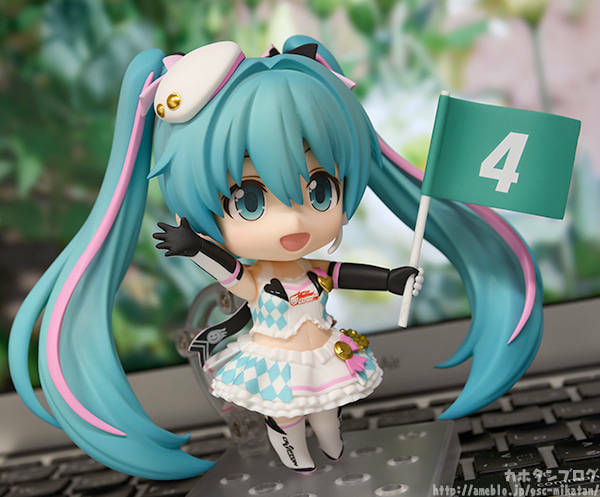 Be sure to add her to your collection and cheer for the team once again this year! The Racing Miku 2019 Nendoroid is available from Good Smile Company’s online shop for 6,000 JPY ($55 USD), and is expected to release sometime around October 2019. Preordes from GSC’s shop will be available until April 11th at 12:00 PM JST. 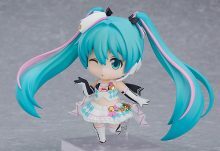 She’s also available from any of these other shops listed below! 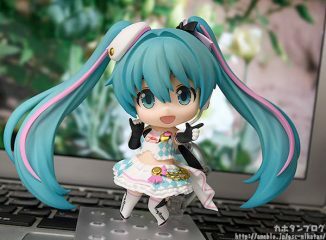 Happy Miku Day (3/9) 2019! 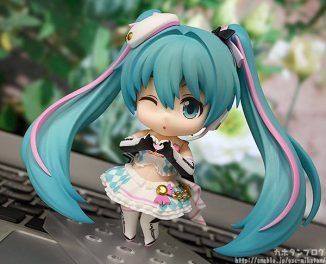 Today (and yesterday as well, depending on timezones) is another Miku Day, which comes around every year on March 9th! This is the day where Miku fans like to show their apprecation for Hatsune Miku in various ways, such as illustrations, pictures, music, and more! 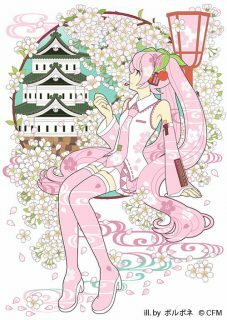 Here on MikuFan, we’ve made it a yearly tradition to share our favorite Miku Day illustrations! You can click any of the previews below to see their full versions. 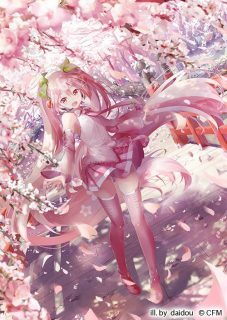 If you’d like to see more, you can search the #ミクの日 tag on Pixiv or Twitter! There’s always dozens more pages of wonderful artworks to see! 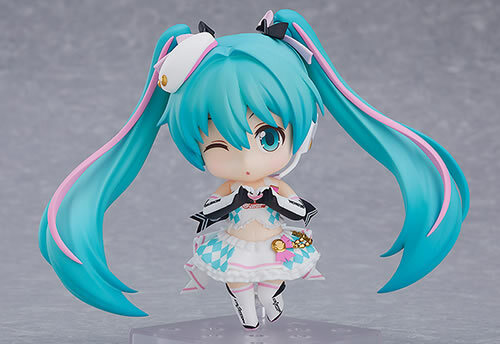 Get a closer look at the idol-themed Racing Miku 2019 in her Nendoroid size with the review by Kahotan from Good Smile Company! 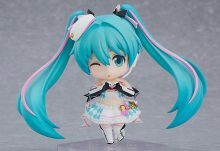 Designed by the artist Annindoufu, she comes with two face plates: a cheerful smiling and a playful winking expression. 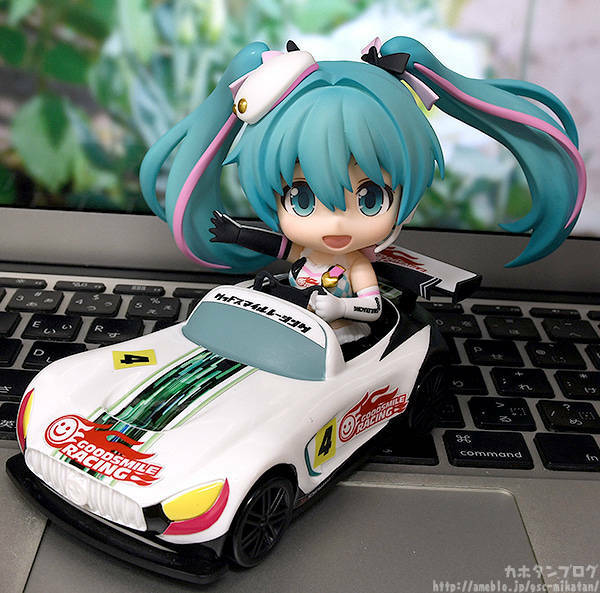 Her optional parts include a flag for her team and her very own Nendoroid car. Primary pre-order for sponsorship will soon end on April 15th, with the secondary pre-order to start from April 26th. 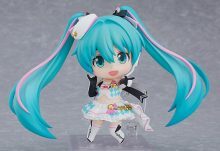 She’ll also be available for preorder via Good Smile Company official site starting from March 12th! Be sure to keep an eye out! Check out the full gallery on Kahotan’s blog! 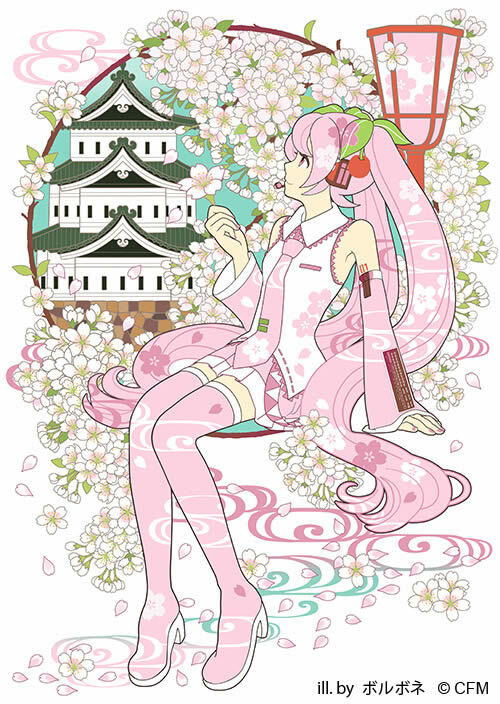 Sakura Miku is finally joining the cherry blossom festivities this year in a new joint collaboration with the Hirosaki Sakura Festival, starting this April! Starting this year, and for the next two years, Sakura Miku will be adopted as an official supporting character in the festival traditions. 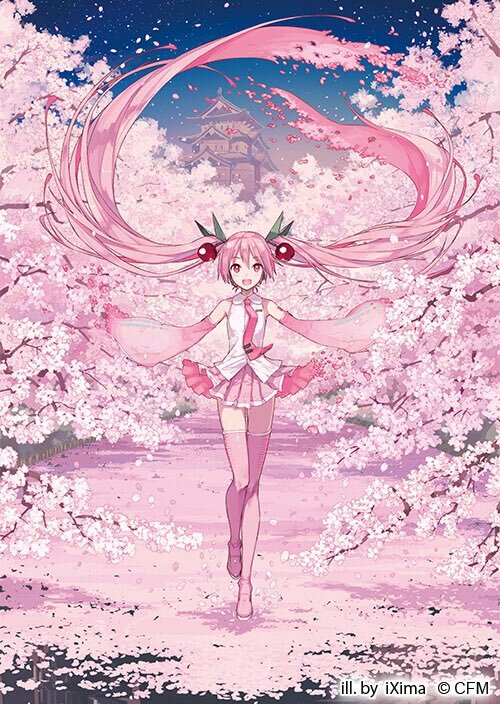 The Sakura Festival takes place every year at Hirosaki City Aomori Prefecture Hirosaki Park from April 20th ~ May 6th. This year will be the 101st celebration of the festival! 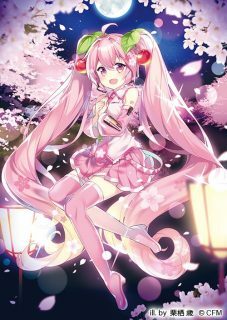 Several creators have also created beautiful artworks for this collaboration, which will likely make appearances at the event. Check them out below! 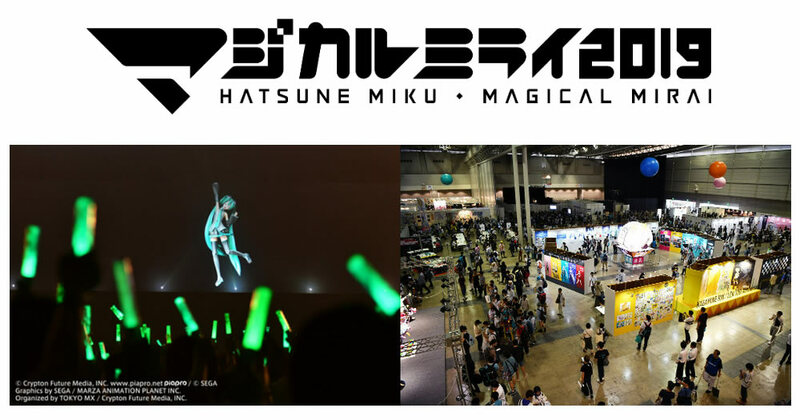 The live event and exhibition ticket sales dates for Hatsune Miku: Magical Mirai 2019 in Tokyo and Osaka has been announced! Advance ticket applications will be accepted for domestic visitors on March 11th, 2019 at 12:00 PM JST. These applications will remain open until March 25th at 11:59 PM JST. Accommodation plans with ticket options and overseas ticket lottery applications are scheduled to become available on April 15th at 12:00 PM JST until May 13th at 11:59 PM JST. 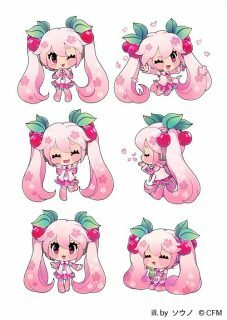 The ticket fee to enter the exhibition is 500 Yen and includes a free gift. It is not yet clear if the concert ticket purchase waves the exhibition admission fee like in previous years. 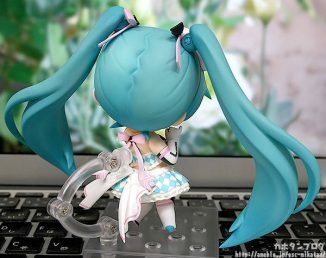 Check out the official links below, and good luck on planning your trip to the next big Magical Mirai event!